Welcome, Renee! Please tell us a bit about yourself. The military wife – the heroine in her own love story. I’m a military wife. I quit my job, packed up our family and moved across the country for my husband’s job. Then I did it all over again four years later. And I’ll do it again, and again, and again. Because I love him. I took care of the house and our kids while he was away for training for five months, and while he was away for more training, and away for short exercises, and away for long exercises. And I’ll do it again for the next training, and the next exercise and the next deployment. I cope because I have to. I struggle to find work because employers know military wives won’t stay forever. I have to step out of my comfort zone to make new friends every time I move, then make more new friends when they move. I learnt a new language full of acronyms and military slang so I could understand what my husband was talking about when he came home from work. I changed hobbies according to what was available where we lived. I adapted. I grew. I am strong but that’s not why I’m the heroine. I’m not any better than any of the other characters in this story world. I’m the heroine because this is my story and my happily ever after. The everyday life of a military wife. This flash fiction collection takes you inside the lives of ten military affiliated women. Whether they serve the military or support those who do, they all face relatable problems. Making new friends, finding new jobs, solo parenting. Being wives, being mothers, being women. Renee Conoulty is an Australian Air Force wife and mother of two. She writes stories of dance, romance and military life including Don’t Mean a Thing, Catching Onix, Wife, Mother, Woman, and Best Friends for Now. When she’s not devouring books, reviewing and blogging on HeySaidRenee, or writing her own stories, Renee can be found swing dancing. Or possibly napping. She tweets about reading and reviewing @HeySaidRenee and about writing, military life and dancing @ReneeConoulty, but hasn’t created a handle for nap talk yet. Sign up for Renee’s monthly newsletter for her highlights on blogging, reading, writing and life. 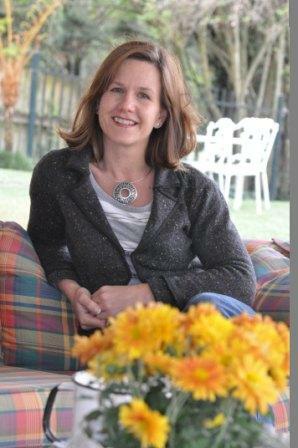 Annie Seaton is a multi-published author of women’s fiction and romance with Australian rural settings. I am delighted to welcome her here and to read about her travels throughout Australia. Even though I am a home body—I love nothing more than curling up on a cold afternoon in winter with a mug of coffee, and a book or my kindle in hand—losing myself in new worlds, we also do a lot of travelling around researching settings for my books. The outback of Australia, the northern coast and the Western Australian desert have all been visited in the name of research over the past four years. I love reading, and wish I had more time to indulge in that at home, swinging in my hammock… but new stories and new places beckon. But even though I love being home—being a Cancerian, home and hearth is very important to me—we hit the road each winter, and head off exploring settings and doing research for my stories. I’ve written contemporary romance, romantic suspense, and I’ve dipped my toe into historical and paranormal stories as well over the past six years since I began writing. ​My writing world is a place I love to be and I hope you enjoy visiting and seeing what I’m currently researching and writing, as well as exploring my past stories. I love visiting different places in Australia, and I hope you enjoy this story. Her Outback Cowboy is set in the Outback in the far west of New South Wales, and I was able to write about the red dust and the prickles and the flies, because I experienced them firsthand camping in a paddock! The love story is based on a real romance of an older couple I met many years ago in the Outback. I put their story, and the Outback setting, into my book, and wrote my sweet romance. I’ve been truly blessed since I began my writing career after being a teacher for many years. We travel around in a caravan and we camp in many different locations. The song, ‘I’ve been everywhere, man,’ is one I am trying to beat! We’ve been to all of the Aussie states except for South Australia, and Tasmania, and have visited deserts, camped under the stars, camped on the sand next to beaches where there are crocodiles, and seen some fabulous sites like diamond mines, waterfalls and sandy beaches in the middle of the outback. My books Kakadu Sunset, Daintree and Diamond Sky are a series set in exotic Australian locations. There are so many places I want to see, and so many stories to write! The Australian Woman’s Weekly described my stories writing as ‘crisp, tense and fast-moving storytelling’, saying ‘Seaton absolutely raises the bar in rural fiction.’ Seeing my name in our big glossy, national woman’s magazine was a high point for me. The Prickle Creek series has four books, and they follow the story of each of four cousins and how they find their happy ever afters in a place they thought they would never come back to. Annie Seaton lives on the edge of the South Pacific Ocean on the east coast of Australia She is fulfilling her lifelong dream of writing and has been delighted to discover that readers love reading her stories as much as she loves writing them. Annie lives with her own hero of many years. Their two children are now grown up and married, and two beautiful grandchildren have arrived. Now they share their home with Toby, the naughtiest dog in the universe, and two white cats. When she is not writing she can be found in her garden or walking on the beach… or most likely on her deck overlooking the ocean, camera in hand as the sun sets. Each winter, Annie and her husband leave the beach to roam the remote areas of Australia for story ideas and research. In 2014 Annie was voted Author of the Year and in 2015 was voted Best Established Author in the AusRomToday.com Readers’ Choice Awards. Readers can contact Annie through her website annieseaton.net or find her on Face Book, Twitter and Instagram. Renee Dahlia is a debut historical romance author in 2017. Her book, To Charm a Bluestocking, came out in March, and is set in Amsterdam in 1887. Welcome, Renee! Please tell us a little about yourself. Q1. Tell us a little about yourself and where you live. Officially, I am “an unabashed romance reader who loves feisty women and strong, clever men. Her books reflect this, with a side-note of dark humour.” I live in the inner west of Sydney, in a little Federation cottage, with my family. I balance family, my day job in the horse racing industry, writing, and volunteering at the local cricket club. And somewhere in there, I still find time to read a couple of books a week. Q2. How long have you been writing and when were you first published? I started writing about a decade ago *squints at a calendar* when a magazine asked me to write some statistically based articles for the horse racing industry. It began a long series of myth-busting articles, and unwittingly put me on a new path away from data analysis and towards writing. Several years ago, I was asked to write a semi-autobiographical book for a bookmaker. Thankfully he paid me for my efforts, as it remains unpublished while he determines if he wants his story cast back into the spotlight. The process of this project allowed me to wonder if perhaps I might be able to write a novel. It took me four months to write a first draft of To Charm a Bluestocking. Over the following nine months, I joined Romance Writers Australia, did all the OWLS, and edited that first draft into a version that I hoped would appeal to a publisher. I pitched the book at the RWA conference in August 2016, and Escape Publishing said yes. They published it in March 2017. In April 2017, To Charm a Bluestocking was ranked second on the Booktopia New Releases in Romance – so this has been a whirlwind ride! Q3. What are you working on now? I’m currently working on the edits for the sequel to my debut novel. Escape has requested that I slow down the pacing in the first few chapters, so once again, I’ve been madly learning about new techniques, and applying them to my book. This one, In Pursuit of a Bluestocking, is the story of Marie’s journey towards love and learning to value herself. I’ve also started to outline the third book in the series, and am about one third into the first (ugly) draft. Tentatively called The Bravest Bluestocking, or maybe, A Bluestocking Takes on the World, this story is about feisty, strong Claire. Q4. How does your work differ from others in the genre? Historical romance has grown away from the Regency period in England, and now covers a wider range of history, including some wonderful Australian historical writers. My Bluestockings series is set in the late Victorian era, with plenty of train travel, steam boats, telegrams, and the brand new technology, electricity. I chose this era because it aligned with the real history that inspired this series. The Victorian era was a time of great social and scientific upheaval, and these changes are fascinating. It allows for heroines who can realistically be closer to a contemporary heroine, but with all the fantasy of history (and beautiful gowns). Q5. What inspired you to write your latest novel? Q6. Which authors do you like to read? How do you pick? 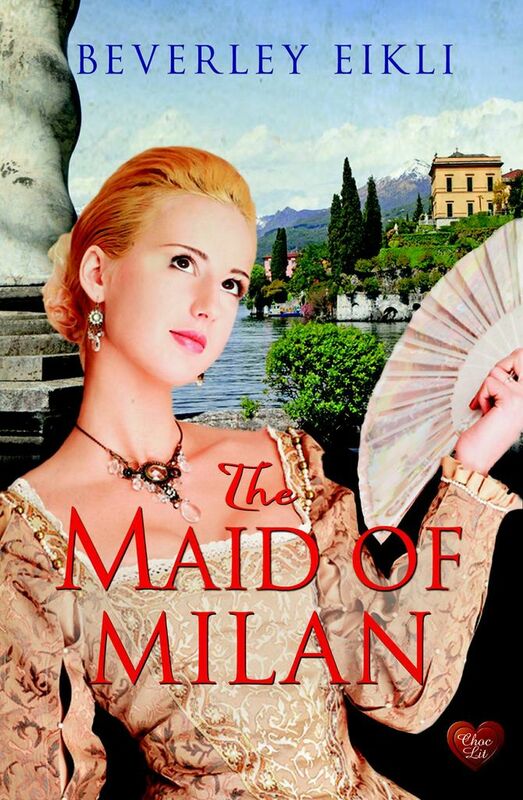 I adore Courtney Milan, who writes in the mid-Victorian era as well as contemporaries. I’ve recently enjoyed books by Victoria Dahl, Eva Leigh, Tessa Dare, Lisa Kleypas, Alyssa Cole, Beverly Jenkins, and Anne Gracie. Q7. What is the nicest thing a reviewer has ever said about one of your books? Q8. Are you a full-time writer? If not, how do you juggle work and writing? I wish! Life is a crazy juggle, however, I do have two days a week where I work from home. In the winter, my horse racing work slows down, and I have more time to dedicate to writing novels. And in the summer, I spend most of my weekends watching my kids play cricket, so I enjoy the summer sun while bashing out words on my laptop. Tagline: She wants to be one of the world’s first female doctors; romance is not in her plans. I was tagged by the lovely Jennie Jones to participate in the Meet my Character blog hop. Thank you Jennie! Born and brought up in Wales, Jennie Jones loved anything with a romantic element from an early age. At eighteen, she went to drama school in London then spent a number of years performing in British theatres, becoming someone else two hours, eight performances a week. Jennie wrote her first romance story at the age of twenty five whilst ‘resting’ (a theatrical term for ‘out of work’). She wrote a western. But nobody wanted it. Before she got discouraged a musical theatre job came up and Jennie put writing to one side. She now lives in Western Australia, a five minute walk to the beach that she loves to look at but hardly ever goes to – too much sand. Jennie returned to writing four years ago. She says writing keeps her artistic nature dancing and her imagination bubbling. Like acting, she can’t envisage a day when it will ever get boring. 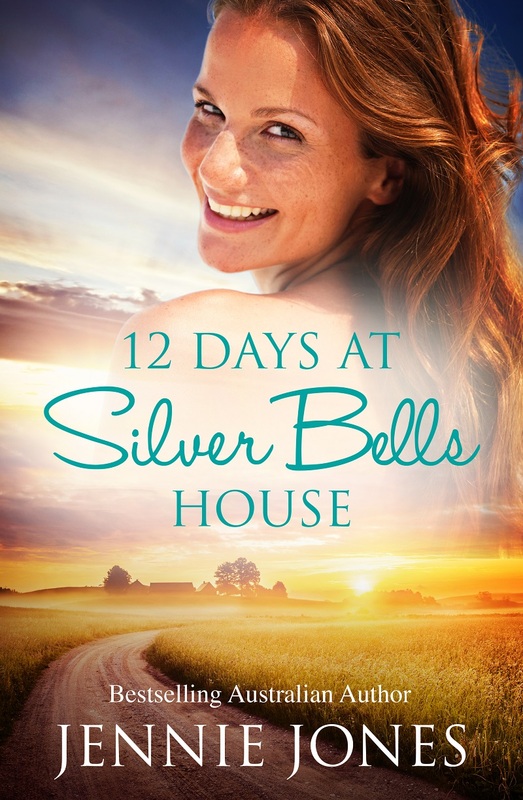 Her latest book is 12 Days at Silver Bells House, now available for pre-order. Visit Jennie’s site here. Now I want to introduce one of my characters from Breakaway Creek. 2.) Is he a fictional or a historic person? Entirely a figment of my imagination! 3.) When and where is the story set? It is a dual timeline story set in both the present day and the 1890s, on a cattle property in Central Queensland. Alex is my hero from the 1890s. 5.) What is the main conflict? What messes up his life? Alex falls in love with Emma, who is visiting his adoptive brother and sister-in-law. She feels the same way, but before they can marry, Alex knows he must tell her the truth about his ancestry. 6.) What is the personal goal of the character? Alex must learn to trust and forgive before he can hope to find the happiness he craves with Emma. Betrayed by her boyfriend, Shelley Blake escapes the city on a quest to unravel a century-old family mystery. Her search takes her to a remote cattle station run by Luke Sherman. Shelley and Luke try to resist their mutual attraction as he fights to reclaim his children from a broken marriage, and Shelley uncovers the truth about her ancestors, Alex and Emma. Emma’s story of racial bigotry and a love that transcends all obstacles unfolds in the pioneering days of the 1890s. 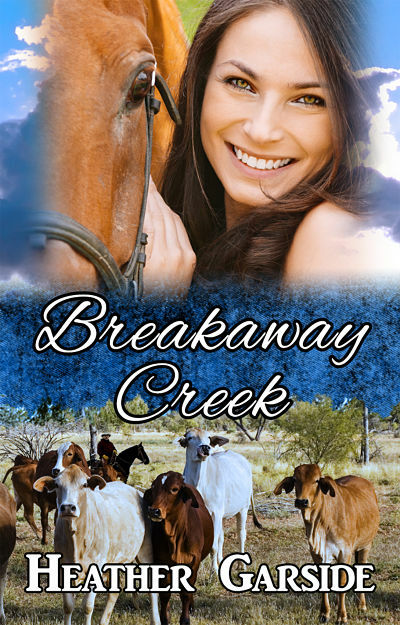 Shelley and Emma are separated by time but they’re bound by a dark secret to a place called Breakaway Creek. It was published last year and is available from Clan Destine Press, Amazon, Kobo and iTunes. Now I would like to tag two other authors who both write fabulous romantic suspense with rural settings. 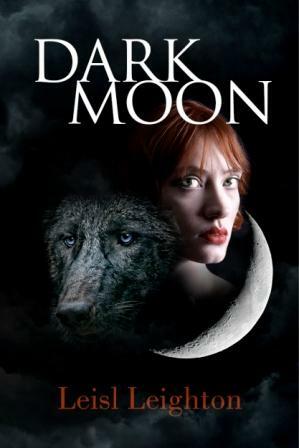 The first is fellow Clan Destine Press author, Sandi Wallace. Sandi is a crime writing personal trainer. Her debut novel Tell Me Why was released in September 2014 and is the first book in her new Rural Crime Files series. Tell Me Why is set mainly in Daylesford, part of Victoria’s spa district, and combines thriller and police procedural with a touch of romance. The sequel is already in-house with her publisher. Sandi has been shortlisted in the 2014 Scarlet Stiletto Awards with results to be announced at the gala dinner on Friday 21 November. She won the ‘Best Investigative Prize’ in the 2013 Scarlet Stiletto Awards and has been a finalist in other short story competitions. She also regularly contributes articles on health and other topics. 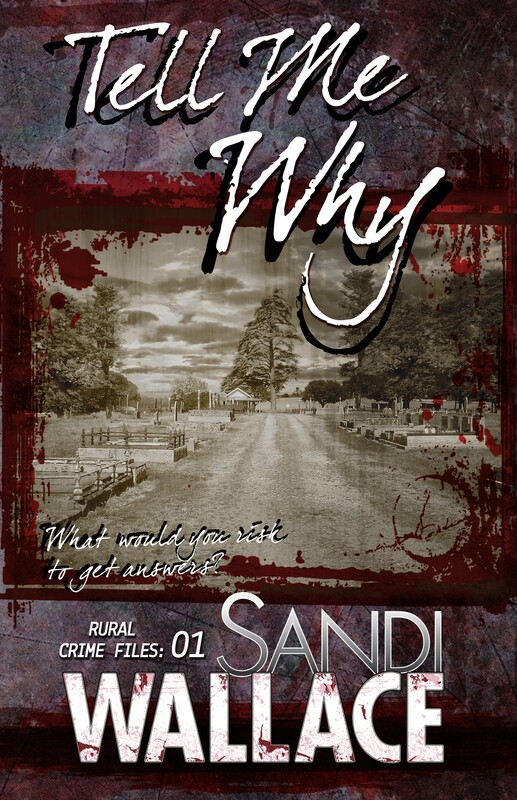 Sandi has devoured crime fiction in film and print since an early age. For equally as long, she’s wanted to be a crime writer – although she still wonders if she could’ve been a police detective and writer. She is currently polishing the third book in her series, and plans to start the fourth in the new year. Sandi lives in the beautiful Melbourne hills with her hubby and furry family. Her new release is Tell Me Why. To purchase Tell Me Why, visit Sandi’s site here. 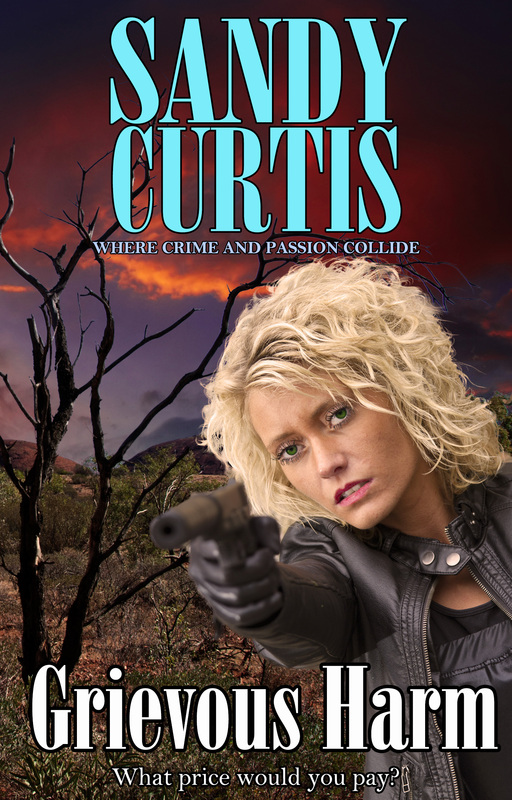 Next is Sandy Curtis, another Clan Destine Press author whom I have known for a number of years and who has been kind enough to share a room with me at several RWA conferences. Sandy Curtis’s first five novels were published by Pan Macmillan in Australia and Bastei Luebbe in Germany. They were nominees in the Ned Kelly Crime Awards, and two were finalists in the mainstream section of the Romantic Book of the Year Award. They are all now available as e-books from Clan Destine Press. Her sixth thriller, Fatal Flaw, and seventh, Grievous Harm, are published by Clan Destine Press in print and as e-books. Sandy was a magazine feature article writer for two years, a newspaper columnist, and has had short stories and serials published in leading Australian women’s magazines. 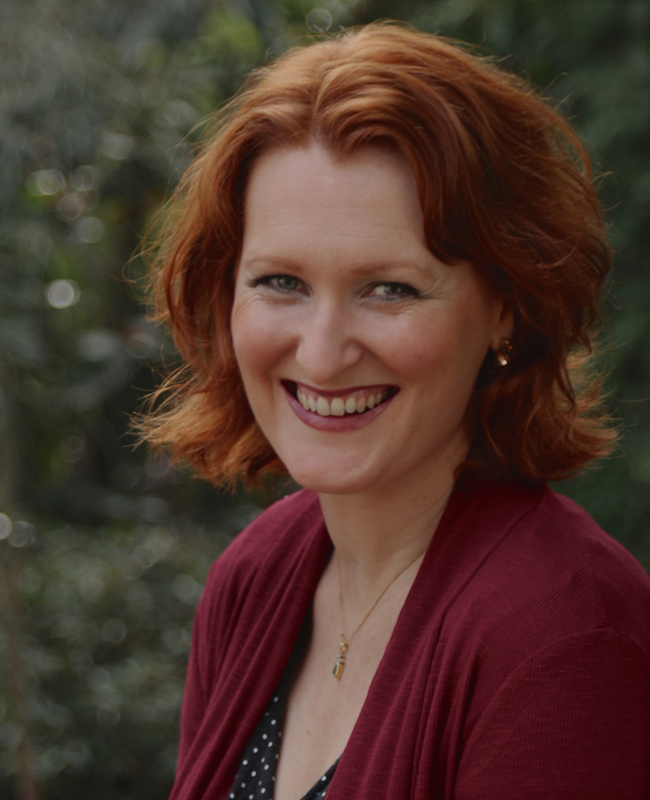 She was a member of the Management Committee of the Queensland Writers Centre for four years and has organised WriteFest, the Bundaberg writers festival, since its inception in 2005. 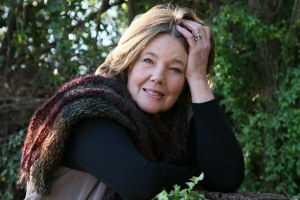 In December 2012 she was presented with the Johnno Award by the Queensland Writers Centre for her “outstanding contribution to writing in Queensland”. Her new release is Grievous Harm. To find out how to buy her books, visit Sandy’s site here. Q1 – What am I working on? 1. 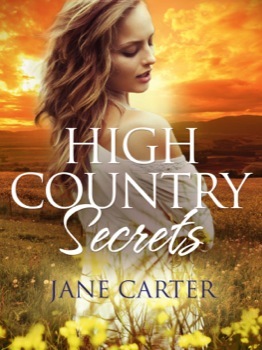 High Country Secrets is set in the Monaro. Strong, grazing country, bald smooth hills and in the distance, the craggy outlines of the Snowy Mountain Range. There must be something in the air of the Monaro. The animals have constitution and the people are tough and resilient. Jessie is from an old grazing family. 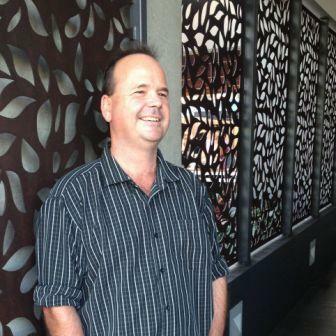 Michael d’Larghi is an entrepreneur- into farming and transport and various family businesses. His grandfather came out from Italy in the fifties to work on the Snowy Hydro Scheme. Jessie returns home to introduce her new fiancé, Alan, to the family. But the first person she meets is Michael, who she remembers from primary school days….. There is an open feel to the high country – like you’re standing on top of the world. Jessie and Michael just have to reach out and grab what they want. But secrets from the past are crowding in. Everyone these days has baggage – but how much can you take? Q2 – How does my work differ from others in the genre? I live in regional New South Wales, in the south. That is quite different from Queensland or the outback. Goulburn is as different to Roma as the west of Scotland is to Bath. No matter where they come from, country people share an understated calm and strength, a trust in each other, a practical outlook. Whether this comes from handling animals or the effect of the peaceful landscape on you, I don’t know. I do know I enjoy the feeling of space and not the crush of people around you. I felt a need to write about the country and the people I have come to love and know. So part of the difference is the area I write about. The other difference is experience – forty years in trucking and farming. This experience means my perspective is different than others writing in the same genre. I don’t know why I write what I write. It just pours out and I have very little say in it really. I am continually surprised by what I write. Sometimes my characters just take off and I go along for the ride. I find that is the secret. Once your characters are up and running they dictate what happens next. Q4 – How does my writing process work? A writing process is not exactly the phrase I would use to describe how I write. Noise. I like the television blaring. I can write with telephone conversations going on around me and mayhem. Possibly my editor would say that explains a lot. But I’ve always been a multi-tasker. Writing also takes you to places you’ve never been to before. So you just have to trust in the magic carpet and go along for the ride. I’m a pantser, so my ride is more rocky than most. How can you be in love with one man and violently attracted to another? When Jessie Cranfield and Michael D’Larghi take the stage to sing together at a local fundraiser in their hometown, the last thing Jessie expects is the electricity between them. Not only has she not seen Michael for years but her fiance is sitting in the audience. Michael is used to overcoming any obstacle in his path to achieve his goals. Now his goal is Jessie, the former girl-next-door from rural Cooma. But not even Michael can foresee that their attraction might uncover family secrets that could tear both their lives apart forever. A Montague-Capulet war has nothing on the Cranfields and D’Larghis. Can Jessie and Michael risk falling in love, or is it too much for their families to bear? Buy it now, for only $4.99. Jane Carter lives in Goulburn, NSW with her husband Richard. Raising five children, farming and helping to run a livestock transport business kept her busy until a few years ago when the last of the children left home and she started writing. Daughter of journalist, author and film maker Lionel Hudson this is perhaps not quite so surprising. She worked in films and television, before she was married. Forty years in the country has made her passionate about rural Australia and the people who make it unique. She enjoys her garden, particularly after rain, adores her grandchildren and anything at all to do with boats.